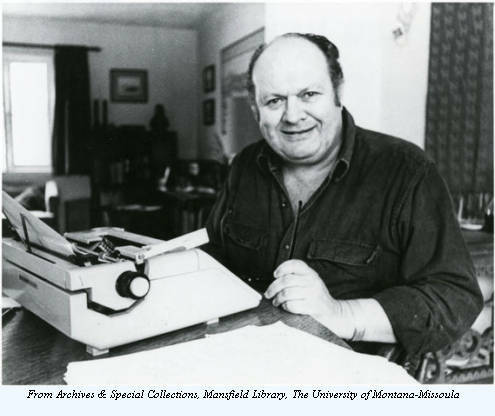 It is an indisputable fact that the memory of poet Richard Hugo haunts Missoula, Montana. This notion might first strike us as innocuous, obvious, falling within the simple domain of legacy. Thirty years after his death, he leaves equal endowments in Missoula, as the most important “Montana poet” and as a teacher of poetry: he was one of the first directors of the University of Montana’s renowned creative writing program and the author of a classic handbook on creative writing, The Triggering Town, that is filled with excellent, weird, and practical advice. Further related to the activity of haunting: Hugo’s poems famously concern places. He is known primarily as a regional poet, and many of his most famous poems are named for Montana towns or landmarks, like “Degrees of Gray in Philipsburg,” “The Milltown Union Bar,” and “The Lady in Kicking Horse Reservoir.” One can use his book of collected poems, Making Certain It Goes On, as a guidebook to Montana’s bleakest and loveliest destinations; titles of his poems will lead you to Garnet ghost town, St. Ignatius, Turtle Lake, Wisdom, and Fort Benton, finally winding back to what was once Hugo’s actual address in Missoula, 2433 Agnes Street. When Hugo wrote a poem about a place, he made the place a part of himself, and now that he’s gone, a part of him remains in those places. Graves exemplify one difficulty of death: that both the pieces of the dead that disappear and those that remain are hard for us. It is all sad, sad. In “Graves At Elkhorn,” Hugo describes how “The poor ones / used wood for markers. Their names / got weaker every winter. Now the gray wood / offers a blank sacrifice to rot.” What a waste, it seems, for the inhabitants of these graves to labor unremembered for eternity, because records and monuments may vanish, but the dead do not, and neither does the mysterious work of the dying, which is to die. “I don’t want to admit / It’s cold alone in the ground,” Hugo says in “With Ripley at the Grave of Albert Parenteau,” “and a cold run / from Canada with a dog and two bottles of rye.” Death is a project each person undertakes alone. Still, we want to remember, and like the inadequate wooden graves, our stories, photographs, and keepsakes try dumbly to help the dead along. Hugo describes a photograph of himself and a loved one fishing in “The Other Grave”: “See my picture. / See my mustache then. Any photo fades. 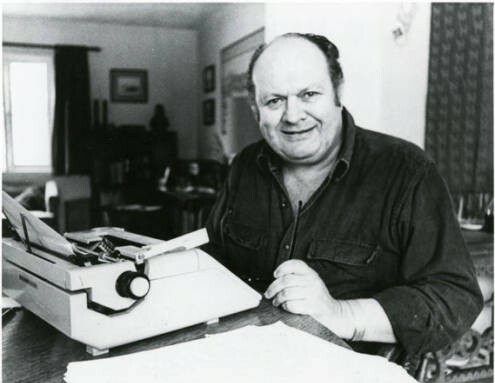 / You remain in yellow with your catch.” It is hard not to think of the pictures of Hugo that are ubiquitous in Missoula, of him grasping a gigantic fish and cackling or standing stoic, holding a whiskey and a cigarette in the same hand. Living here and seeing him so often, you can feel like you know him. But any photo fades, and these pictures of Hugo are less reminders of him than reminders that no photo can convey what he was really like—in fact we are getting farther away all the time. So what I’m saying really is simple—that Hugo’s preoccupation with graves is a powerful and disturbing theme because it prefigured his own death. He left such an impact on poetry and on Montana that it can be hard to remember that he was young when he died, only fifty-nine, of leukemia. Reading the shortness of his life into his work, it rings louder with irony and grief: “I’ll not die of course. My health / is perfect,” he wrote in “Graves in Queens,” only seven years before he died. “If you die first,” he wrote to his wife in “With Ripley at the Grave of Albert Parenteau,” “I’ll die slow as Big Bear / my pale days thin with age, / night after night, the stars callow as children.” It is sad, sad. We may take solace, though, that in Hugo’s work the dead are not only obscure, they are strong. He relates a theory in “Graves in Uig” that “they put the dead / here where north and east gales can find them / knowing in death we are tough, and leave the living / on the west side protected from the cold.” It’s something we’ve known all along: it is we, the living, who need the dead, not the dead who need us. Sometimes we just want to visit something tough as a stone in the ground. So here I’ll tell you what to do in Missoula, Montana, if you don’t know what to do, if you are restless, confused, and alone in yourself—or if you are sad. Walk west across the railroad tracks and through the neighborhood of streets meeting at strange angles, lined with tiny houses backed by giant sheds. You didn’t bother to look up where the marker you’re looking for is, so you wander through the graveyard for a few minutes, looking at the graves from the 1920s, the ones that just read Baby, the ones where you can’t make out any name. Then you turn and see a huge elm tree at the center of the cemetery stretching to the sky. 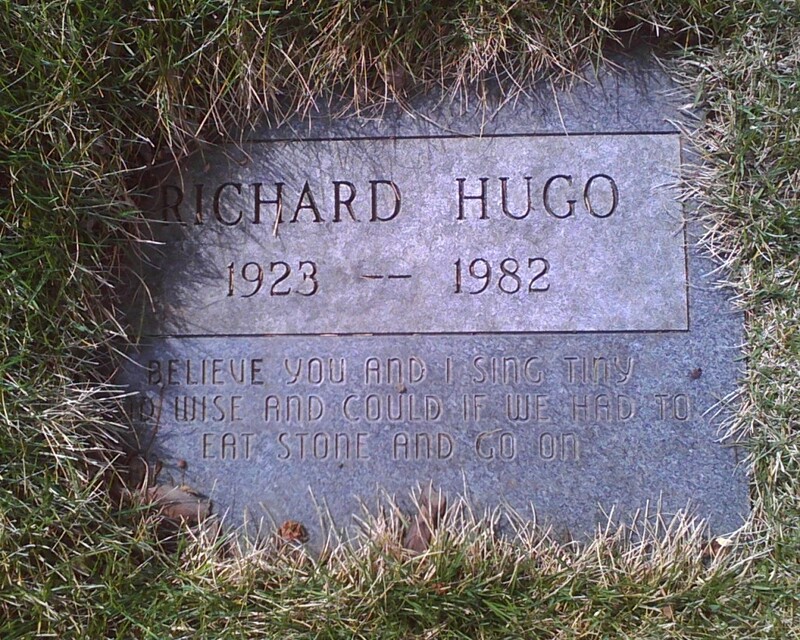 You walk to it and find Richard Hugo’s grave at its base, a small headstone flush in the ground and grown over a little bit with grass. You feel in your pockets to see if you have any token to leave there, but they are empty. Hugo’s grave poems display an anxiety about the impossibility of adequately memorializing anyone. “Maybe the best graves stay unmarked,” Hugo wrote in “Confederate Graves in Little Rock.” “The right words never find themselves cut into stone.” But the same lines from Hugo’s poem “Glen Uig” form the epitaph on Hugo’s grave and the epigraph to Making Certain It Goes On, so both book and gravestone act together as his monument: “Believe you and I sing tiny and wise / and could if we had to eat stone and go on.” A granite slab is not an oracle, but this one is telling you to take heart. You stare at Hugo’s words for a while and then you walk home in the sun. You don’t stay at his grave for long. Alice Bolin is a writer living in Missoula, Montana.